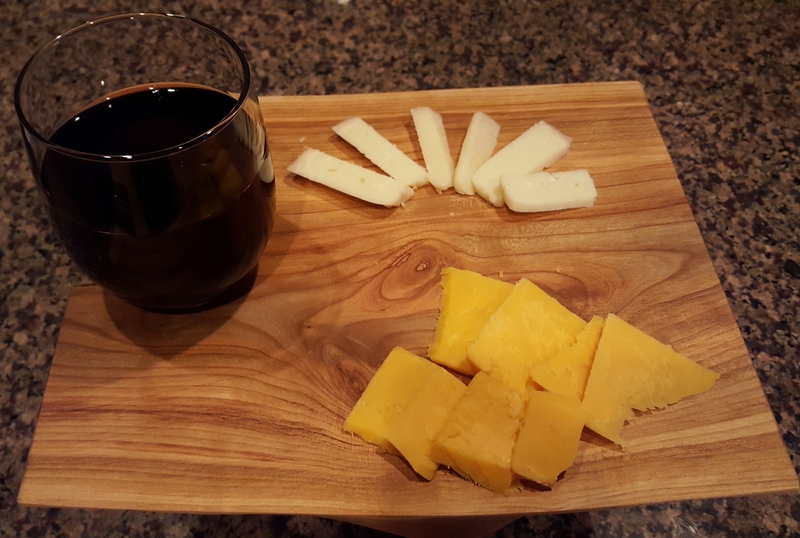 You'll enjoy serving your favorite cheese(s) on these locally made hand crafted live edge serving boards. Natural Edge or Live Edge wood products have grown increasing popular. They show off the true beauty of the wood. 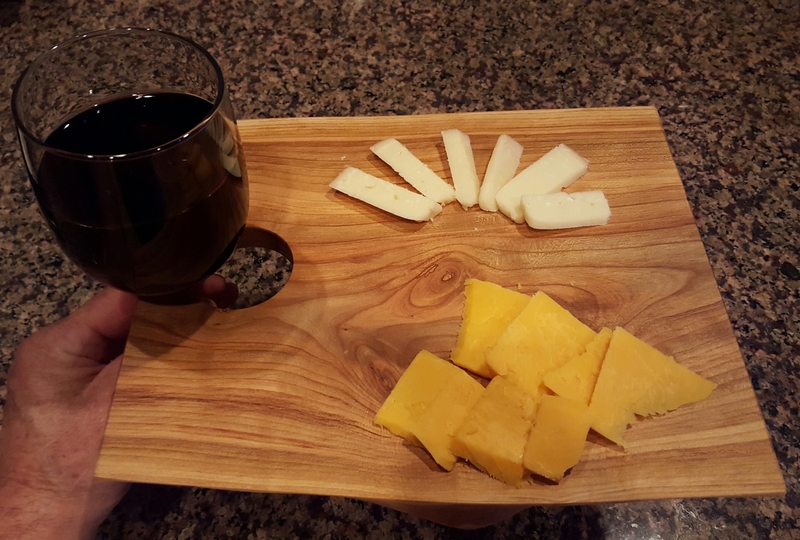 Each serving board is uniquly handcrafted, some with a wine glass holder cut into the edge of the board. Exclusively designed by local craftsman Dale Osowski. Each board is treated with food grade Carnauba wax and bees wax along with special food grade mineral oil to bring out the gorgeous grain of the wood, made from Wisconsin Black Walnut or Cherry. Small clear rubber feet are attached to the underside of the board to hold fast to your counter.